November 14, 2013 - Like us now! Think of startup accelerators as magic boxes which take in bright and young people and help them transform their excellent ideas into successful startups. Many different startups have recently been in the limelight which is a reminder: there is no shortage of talent in Pakistan. However, there are certain tools required to polish these innate abilities and talent, a responsibility which these accelerator programs voluntarily accept. i2i, a short name for Invest 2 Innovate is one of the budding startup accelerator programs in Pakistan. The program aims to help the entrepreneurs by developing their basic understanding of business. I2i is a four month journey where the participants get a chance to meet potential investors as well as learn from skilled entrepreneurs. The program aims to produce entrepreneurs who are more market-savvy, have a bigger vision and know the scope of expansion in their businesses. The AppJuice team invited Kalsoom Lakhani, the founder of i2i accelerator so we could give our readers a glimpse at the working and operation of the startup accelerator. 1. Hello Kalsoom! Thankyou for talking to TheAppJuice. Let’s jump right in: what was the main motivation behind starting i2i? KL: I started i2i (not eye 2 eye – thanks Taher Shah!) in 2011 because I wanted to address a huge need and gap I saw in the entrepreneurship “space” – not just in Pakistan, but in a lot of developing markets. I was meeting young Pakistanis who had incredible ideas, passion & energy, but often couldn’t get the resources or capital to truly turn those ideas into reality. In the meantime, I was meeting successful entrepreneurs who wanted to invest in young entrepreneurs’ businesses, but didn’t necessarily know how or where to find vetted ideas. Invest2Innovate aims to bridge that gap, by finding & vetting innovative businesses and connecting them resources, mentors & startup capital to truly bring those ideas to fruition. At i2i, we really believe that young entrepreneurs can change the world – we help to provide the resources to get there. 2. Tell us a little about your team: who are they and how can they help the young people you enroll in the program? KL: Our team rocks! I like to think we are small but mighty and wear many hats on any given day. Uzair Khan is our Strategy & Training Lead, which essentially means he designs the curriculum for our Accelerator and trainings we do for clients. 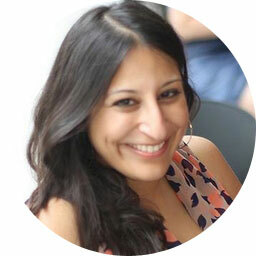 Anusheh Naveed Ashraf is i2i’s Community Manager, and manages logistics & thinks creatively on how we build & maintain our community of entrepreneurs, mentors, and investors. Uzair and Anusheh will be running the i2i Roadshow in Spring 2014, in which they’ll be traveling to multiple cities in Pakistan to run workshops and conduct outreach on i2i prior to our next cycle of applications open for the next i2i Accelerator. 3. Why is it a better idea for hopeful entrepreneurs to work with a startup accelerator rather than working independently? KL: I definitely don’t think an entrepreneur should despair if they don’t make it into a startup incubator or accelerator! If you think you can do it independently, that is amazing! However, startup incubators & accelerators can offer a platform for you and your business – access to mentors, investors, business support, and a team that genuinely wants you to succeed. We can help amplify your startup – that is something you can on your own, but it is a unique opportunity to get receive that platform. 4. What future do you see for startups in Pakistan? Are we finally moving towards an entrepreneurial mind set? KL: I honestly think that Pakistan is naturally very entrepreneurial. Any country that faces a lot of challenges in turn has a population that has to think creatively and out of the box to make things work. If an entrepreneur can make it in Pakistan, I truly believe they can make it anywhere. That being said, our education system doesn’t promote critical thinking or value attributes that are considered entrepreneurial – we need to move away from rote memorization and towards curriculum that allows room for creativity, questioning, and curiosity. I do think that there’s a bright future for startups in Pakistan, but there’s still a lot of work that needs to be done to help promote this ecosystem. 5. What problems do most startups face and how does i2i deal with them? KL: Most startups face common challenges related to human resources, hiring/retaining talent, building out their operations, and rolling out a product or service their customers actually want. i2i uses a lot of design thinking and lean startups methodologies in our curriculum, and coordinate mentor-led sessions around various “tracks” related to financials/investment, human resources/talent retention, operations/product development, and leadership development. 6. What are the criteria for getting selected in i2i? What are you looking for when choosing a team? KL: We aren’t looking for ideas or concepts that aren’t fully formed – the most ideal business is one that is still very early-stage but has some “traction”, either in proof of concept, revenue generation, or research & development. We also are looking mainly for impact for-profit companies – so businesses whose primarily purpose is to create a social impact, but has a strong and viable business model. We love technology companies that create social good, but are willing to look at other innovative businesses as well. On average, our companies are looking for at least $100K in seed capital. 7. I2i has been working since 2011. What are some of the successful startups that you company has helped grow? KL: We’re only in our 2nd class of our Accelerator – so from our first class, one of our big successes was BLISS, which is now Popinjay, founded by Saba Gul. Popinjay is incredible and raised their seed capital round after the i2i Accelerator from all Pakistani investors. We’re so proud of Saba! Another great example of successful startup from our first program is EcoEnergy Finance, a solar energy company that works in off-grid communities in Sindh, and has successfully scaled their operations and increased sales of solar lanterns among these villages. 8. When does the next session of i2i start and how should the hopeful candidates’ signup? KL: Our current i2i Accelerator launched in September 2013 and will end in January 2014. Our outreach for the next i2i Accelerator will start in March 2014 with applications opening in May 2014 – the next program will kick off in September 2014. Furniture Hub - A new style to buy Furniture!